Have you ever tried “painting” with a paper towel? The kids will love it! 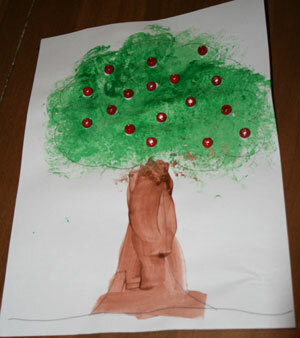 When the tree is dry, add red pony beads for one cute cherry tree.